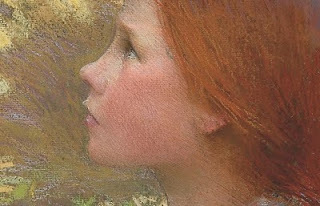 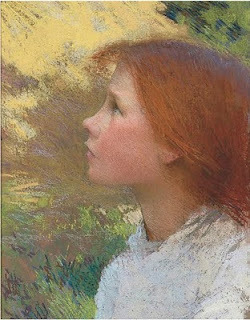 This beautiful pastel is by English artist George Clausen. You can read more about the artwork and the artist on Christie's auction website. On the Underpaintings blog, you can see more artwork by Clausen and read an interesting article on his process including information about his palette.